LINE, one of the world’s leading instant messaging apps that allows its 460 million plus users to make FREE voice calls and messages worldwide, will offer its Philippine-based subscribers a special “LINE Free Calls” promo. 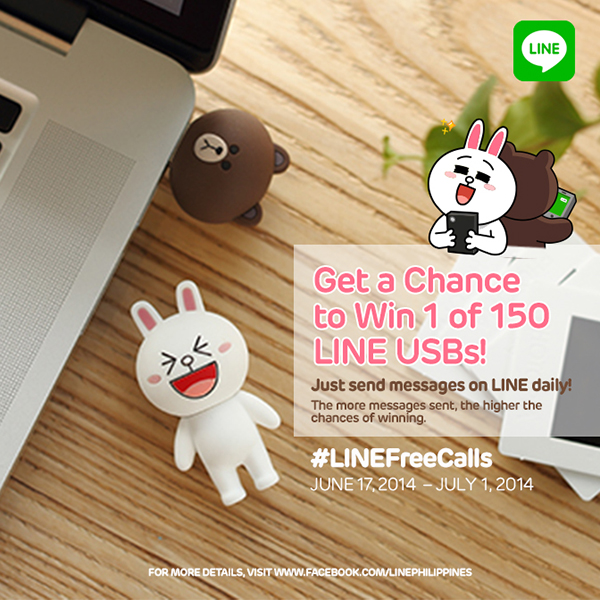 Get up to 30 minutes worth of FREE CALLS to any landline or mobile number in the world, PLUS an exclusive LINE sticker set, when you send messages using LINE from June 17 to July 1, 2014. The maximum number of FREE call credits a LINE user can receive in one (1) day is 100 call credits. Maximum number of FREE call credits a LINE user can receive during the duration of the promo is 300 call credits, equivalent to up to 30 minutes worth of calls to any mobile or landline number in the world. Credits will be valid for 30 days. 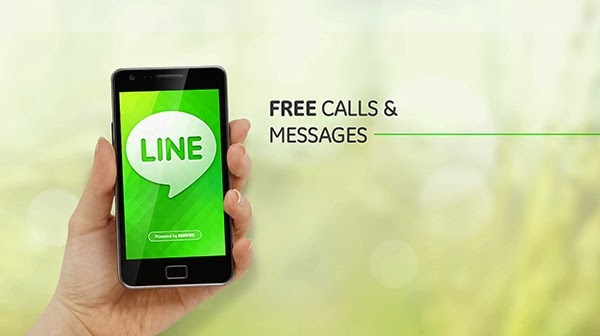 LINE Free Calls promo is open to all existing and new LINE users in the Philippines using Android (LINE version 4.1 and above) or iOS (LINE version 4.2 and above) using mobile phones only. Only those who registered their mobile numbers on LINE are eligible to avail of the promo. In addition, LINE will raffle off premium items such as ten (10) LINE USBs and one (1) SAMSUNG Galaxy S5 per day from June 17 to July 1, 2014 only (for a total of 150 LINE USBs and 15 S5s). Qualified entries are your LINE messages sent during the day. Entries will be refreshed daily throughout the promo period. The more messages sent via LINE, the higher the chances of winning. Randomly chosen via electronic raffle, winners will be announced via the LINE Philippines Official Account and the LINE Philippines official Facebook page. Winners will also receive a private message for verification and prize redemption procedures. To download LINE visit http://line.me/en/ or get it via the App Store and Google Play.